Founded by a pastry chef for pastry chefs, Valrhona has provided all its expertise and passion to provide the finest chocolate to gastronomy professionals for the last 90 years. Valrhona is also a committed, socially responsible company whose values are enacted on a daily basis by all its employees, in the chocolate factory, on the plantations, and in dealings with our clients. Thanks to its close relationships with the chefs, Valrhona established in 1989 with Gabriel Paillasson the very first edition of the world pastry cup during the Sirha exhibition. Since then, Valrhona has continued to partner this prestigious event, a highpoint in the culinary calendar and an occasion for Valrhona to demonstrate its support for the promotion of international gastronomy. Classic Fine Food is a Purveyor and distributor of fine foods from around the world, well established in London & the Midlands, serving the vast majority of five-star hotels and high-end restaurants. We are highly motivated, reliable professionals with particular skills in identifying and sourcing the fineOfficial Sponsor UK Pastry Teamst quality foods. We offer truffles, caviar, foie gras, dairy products, fresh and cured meats, olive oil, chocolate, fruit purees, pastry ingredients and many more delicacies. Through close partnerships with our suppliers, we deliver the highest quality of perishable, fresh and pastry products to you! Our involvement within the top echelon of the UK hospitality industry ensures that we are well informed and highly responsive to all our chef’s needs. Our philosophy of continued training & education, and of supporting our suppliers and our clients through this philosophy, ensure the best products are in the best hands and used to create the very best results! We’re incredibly pleased & proud to be a supporter of the UK Coupe du Monde team for 2015. To be partnered with such skill & expertise is a fitting honour for a company such as ours, and we look forward to championing the UK team onto great heights! Having worked with The Savoy & Le Manoir aux Quat’ Saisons for many years, we are confident that their knowledge, savoir-faire and creativity will ensure a result to be proud of for all the UK’s pastry elite. Classic Fine Foods are proud to be long time representatives of the following world-renowned pastry brands, and pleased to offer such a comprehensive range! 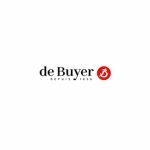 Exquisite covertures & accessories, chocolate decorations & accessories, fruit purees, Normandy butter, Eggs, pastry range, display & diposables, equipment & bakeware. Opened in 2016, TheTasteLab was set up for our clients to hone their techniques, develop new skills, enrich their savoir-faire and stimulate their creativity. 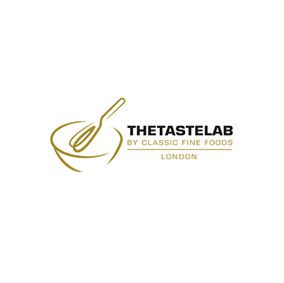 Fabulously equipped, TheTasteLab offers a truly enjoyable experience and is now the first choice for chefs when it comes to professional training in London! The global leader in frozen fruit and vegetable purees and coulis with more than 12,000 tons of products sold each year in 70 countries, Les vergers Boiron’s expertise goes back more than 40 years. 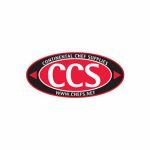 Established in 1929 Ritter Courivaud is one of the leading food distributors to the upmarket sector of the UK’s food service industry. 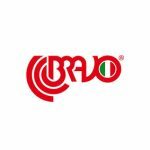 We offer top quality lines from all around the world, including caviar, fresh mushrooms, truffles, seafood, game and charcuterie plus an extensive range of Sardinian salciccia plus much more. We are recognised by discerning Patissiers for our wide and diverse range of fine pastry ingredients. With many exclusive agencies for eminent French patisserie brands, we are able to provide pastry professionals access to the best produce available to complement their skill and creativity. Ritter is committed to the highest levels of customer service and to sourcing the best and most innovative products for its clientele. Coupe du Monde de la Patisserie is the most prestigious pastry competition in the world and we are absolutely thrilled to be the sponsors for the British team for the second year running. We wish Team UK a successful and enjoyable event and are certain that their passion, talent and creativity will shine and be an inspiration to all. The Elle & Vire production site is located in the Normandy town of Condé sur Vire, in the valley formed by the rivers Elle and Vire. It was these two rivers that gave the brand its name in 1947. Offering consumers the very best of French dairy savoir-faire is the daily mission of Elle & Vire on an international scale. For consumers worldwide, Elle & Vire offers a range of dairy products (butters, milks, creams, desserts and cheese) of exceptional French quality and flavour. Synonymous with quality and reliability, Elle & Vire combines tradition and innovation in its healthy and natural dairy products which are suited to modern habits of consumption and use. We’re incredibly pleased & proud to be a supporter of the UK Coupe du Monde team for 2017.